My objective when I started the build was to create a sled that was as good as or better in everyway than a stock sled. 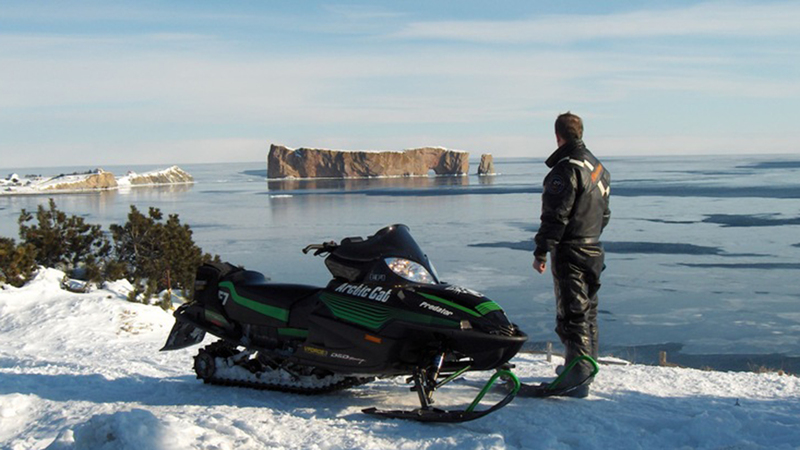 I had been running the sled with an 900 kit on it and on the last trip of the season I blew it up. 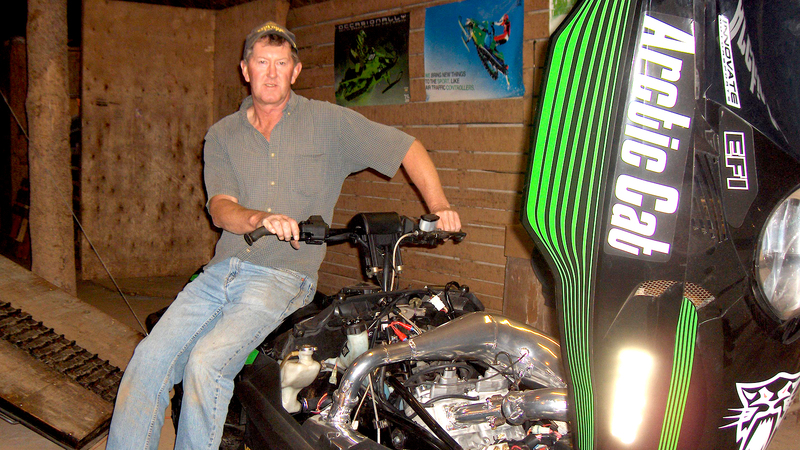 Seeing as I wanted a bigger engine, I had to choose between buying a new Crossfire 1000 or refitting my Firecat with a 1000cc engine. I loved my Retro Firecat , so I decided that a rebuild would be a fun project and give me a one of a kind sled. The most unique and creative thing about this sled is that it is the only 1000cc transplant into a “diamond drive” firecat that I have ever heard of and definitely the only one in my part of the country. I’m proud of the fit and finish that I achieved and also the performance and reliability of the sled. I put 6000 miles after the build with no problems or repairs except for the addition of one exhaust spring after the first 4 day trip on the trails. People have said that the installation looked better than stock. 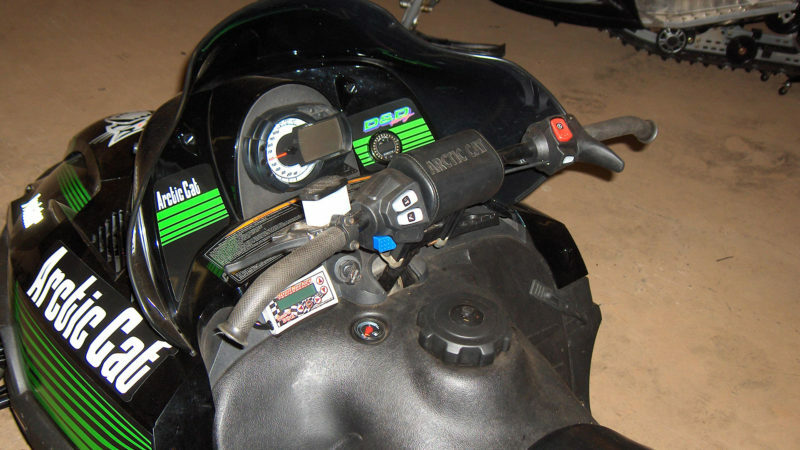 When I was at Dynotech getting the sled dialed in Jim said that it was the cleanest and neatest install that he had seen, which meant a lot to me. Awesome sled! Almost as fast as the one I built😂 lol ..all jokes aside this is one amazing sled built by one of the best! Truly One the best builds I’ve ever seen. Sled works flawlessly and is flat out fast. Definitely a clean engine swap and reliably fast sled. Feels good to brag up my Dad on this one. He really knows how to dial a sled in for the perfect balance of clutching, traction, weight transfer, and horsepower! A lot of hours put into this build with fantastic results. Clean and fast. 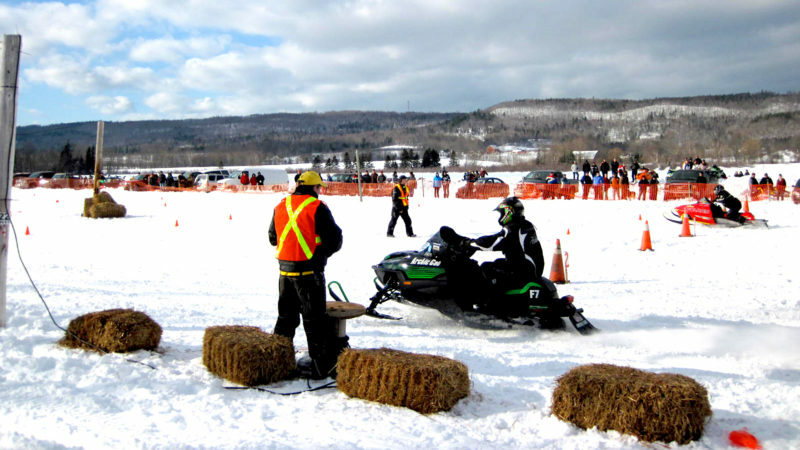 I doubt there is any stock sled built today that would match it for speed and quickness down the track and yet a reliable trail sled. Great job! 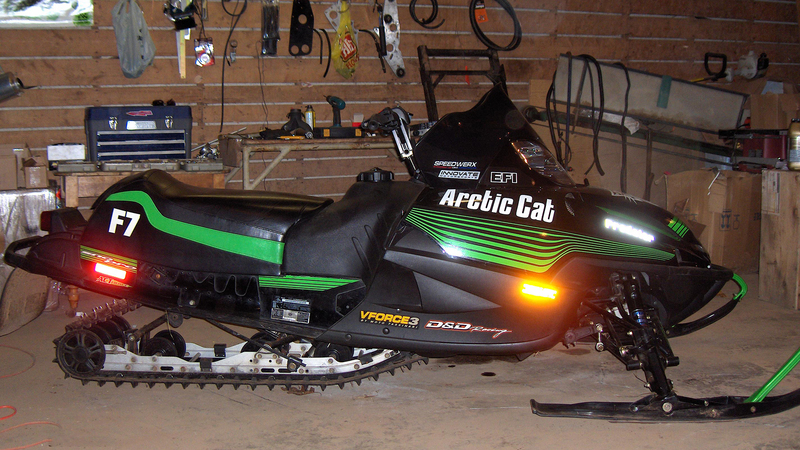 This was a great job done on this machine, it was reliable, and a great trail sled. 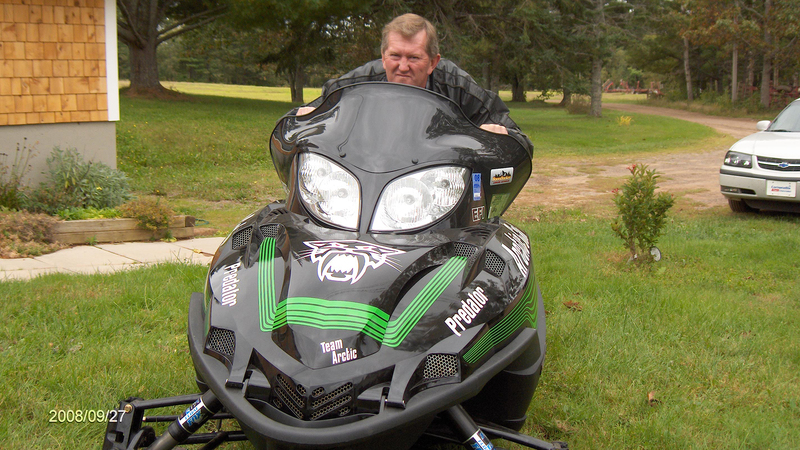 I had a chance to drive it, and it is the fasted 2 stroke trail sled that I ever drove. this thing should have been outlawed when it came to buddy racing. Greg you should be proud of this build. Stunning! A true beast deserving of her name! What can I say? Have you ever taken a knife to a gun fight? I have seen this Predator race from day one. Greg used this as a every day trail sled , go anywhere. But pull up beside him at with your trail sled and see what happens. This sled looks great and is like a rocket on rails. 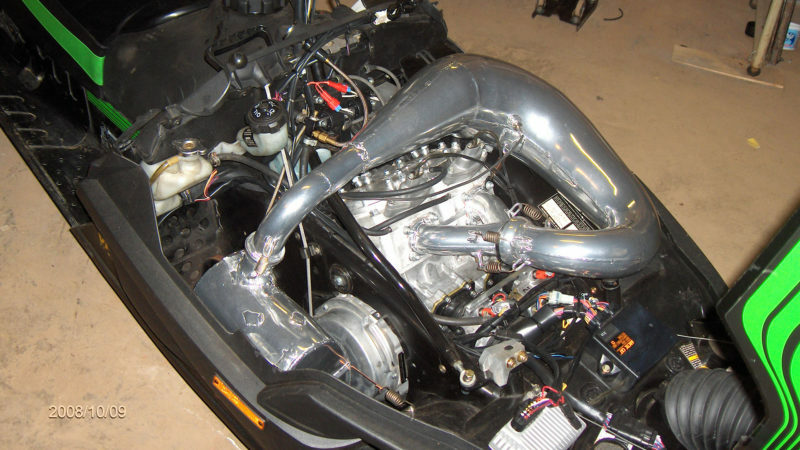 Intake: EFI with Boondocker fuel controller and modified airbox and larger intake horn. Exhaust: Speedwerx Y-pipe , pipe, and muffler modified to fit and receramic coated. 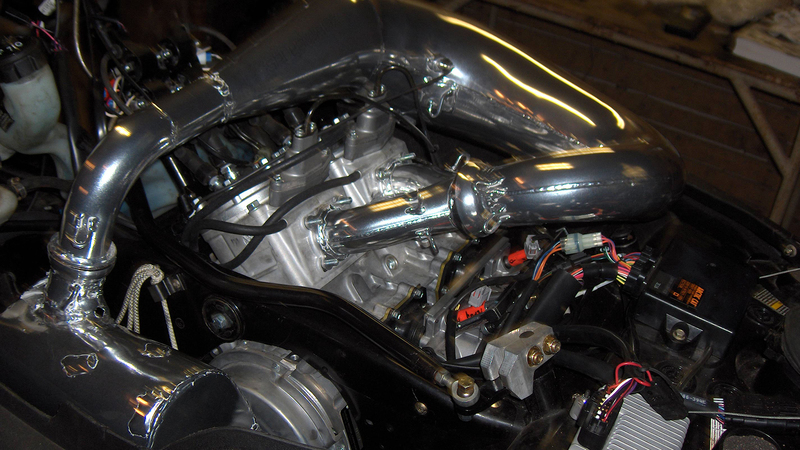 this setup made 192.4 hp and 134 ft lbs of torque with stock cylinders at Dynotech. D&D ported cylinders were added later for another 10-15 more hp. 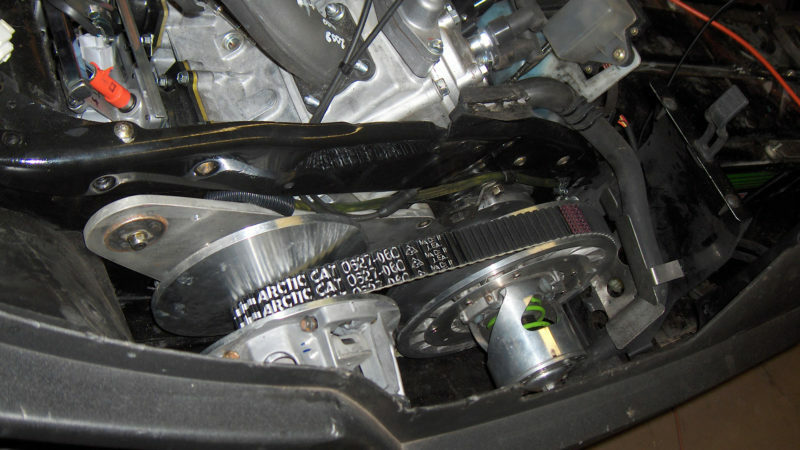 Drivetrain: Arctic Cat 4 tower PTO clutch Arctic Cat diamond drive secondary with a torsional spring kit. Suspension: Rear shocks were custom valved to be half way in between trail and sno-pro and on the front Fox Floats I added volume canisters to soften the ride. Finish - Paint: The sled has a retro decal kit with the F7 taken off the hood and replaced with a white skullcat with red night light eyes and it has a white nightlight Predator decal down each side of the hood. 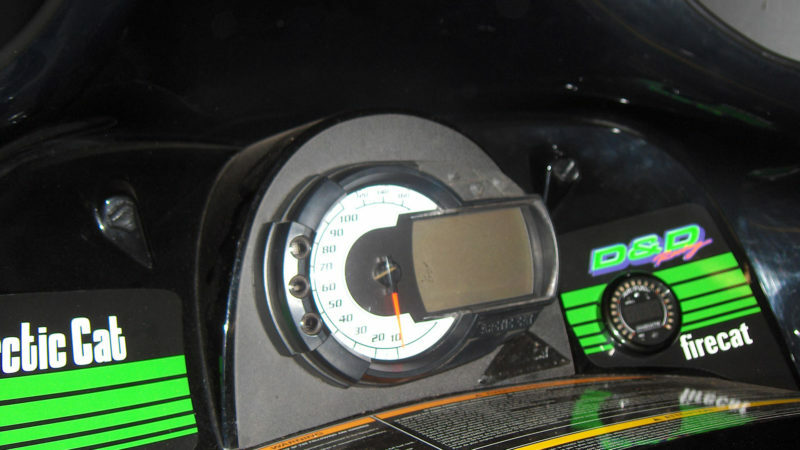 Accessories: The dash is changed to the 2008 style with the altimeter and etc. Also the hand and thumb warmer controls were upgraded to the 08 style to be on the the left where they should be.